CartonCloud is a feature rich (TMS) Transport Management System with automation and cloud in mind. It will streamline your logistics and help you provide better customer service. 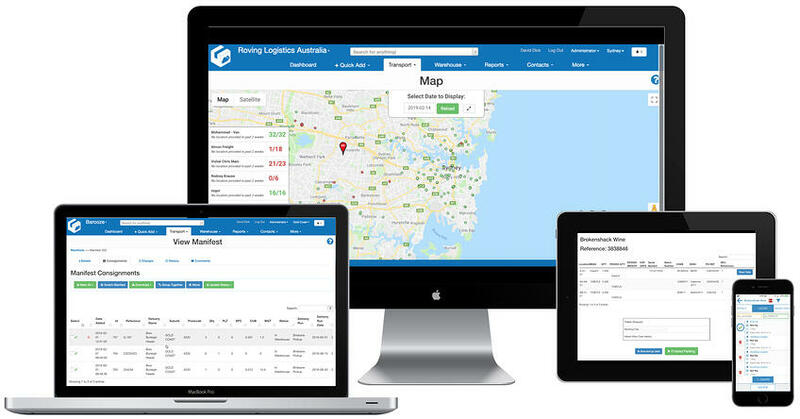 Whether you are trying to grow your business or simply want to stop losing time and resources on manual work and tedious processes, CartonCloud is the affordable, capable solution that’s changing the game for Australia’s small to mid-sized transport companies. With faster delivery times, greater transparency, automated invoices, and the ease and convenience of electronic proof of deliveries, you’ll be able to do more with your time and unlock your business’s potential. We understand your challenges as we've been there and taken a money-losing logistics company to a streamlined profit-making powerhouse. CartonCloud is created by logistics people for logistics people, you know you can count on flawless operations when you get on board with CartonCloud. We've made it easier for your drivers on the road to get electronic proof of deliveries, by grouping con-notes together automatically your drivers only need to get one signature for that address. The great thing about the cloud is you can quickly and easily manage your stock, checking stock as it arrives. Plus your clients can have greater transparency by having online access. Address Strings act as an "aliases" for addresses. If your clients keep providing the incorrect address, you update the address string and CartonCloud will automatically link the alias to the actual address. "I would say, no doubt, CartonCloud is the absolute best system. Being able to finish like a normal person at 5:00, we've done all the allocating, we've printed all of the paperwork for the next day." We started out with a dream of just providing transport to small craft breweries. There was no provider in our industry for the smaller, little guy. It was only, you know, I only wanna see you if you've got 50 palette loads and a million consignments a week. I think, for us, we just wanna become the best in the industry. So, before we had CartonCloud, I was doing everything manually. All day long, it was all night long. It was on the weekends. I couldn't go out for dinner. I couldn't go out with friends. I couldn't watch TV because I would be sitting at the desk, filing things, routing things. I literally worked one night til 1:00 a.m. doing it. I just said, "I can't keep doing this." I said, "We have to find a solution." One of our customers said to me, "Oh, you should check out CartonCloud. "We use it for S.A. "It's a really good program." So then we got on board with using it. And it's just been a really amazing journey. I would say absolutely no doubt CartonCloud is the absolute best system. Being able to finish like a normal person at 5:00. We've done all the allocating. We've printed all the paperwork for the next day. It's just, you can't really put a price on it. Until you lose that part of your life, and then suddenly get it back, you really don't appreciate just being able to go out for dinner and not have to think, I have to go home because I have to go home and do all the allocating and filing of paperwork. It saves on costs. It saves on having to employ more staff. Because if I didn't have this program, I would have to have probably two admin people with me because there's no way that I'd be able to do the volume of work that we do with the program. It also really would prevent our business from being able to grow. Like, Andy would ring in a sale, or the customer might wanna join us and I'd say, "No, I can't, please I can't take any more work." Whereas now, I'm like, "Sure!" I don't even notice. The kids, they're much happier because I'm much more present so it's really really changed our lives. It's made us much happier. My husband comes home and everyone's finished work for the day. It's given us the ability to get as big as we possibly can. For me, it's a no-brainer. CartonClouds mission is to be constantly developing our product so it's easy to use and saves you time and money. We want all of your staff to be able use it and get operational in as little time as possible. We take user feedback seriously. We know having logistics experts design features has huge advantages. We also have an ideas portal where you can submit ideas on how we can improve the user experience or build additional features. CartonCloud combines everything good about cloud technology and logistics automation to let your business do more. Even better, when you have more time and know every facet of your operations is running smoothly, you also gain a better quality of life. Experience the benefits of an integrated warehouse and transport management system today – get started with a Free Demo. Trust us when we say we've been there done that and it's not ideal to be pushing that hard just to break bread, with CartonClouds warehouse management system you'll never look back. How Our Transport Management System Can Improve Your Life! EDI or complex API you can have consignments automated. Your clients can email a simple spreadsheet directly to CartonCloud and it will create all your consignments automatically. If you want complexity we have an open API for more sophisticated integrations. 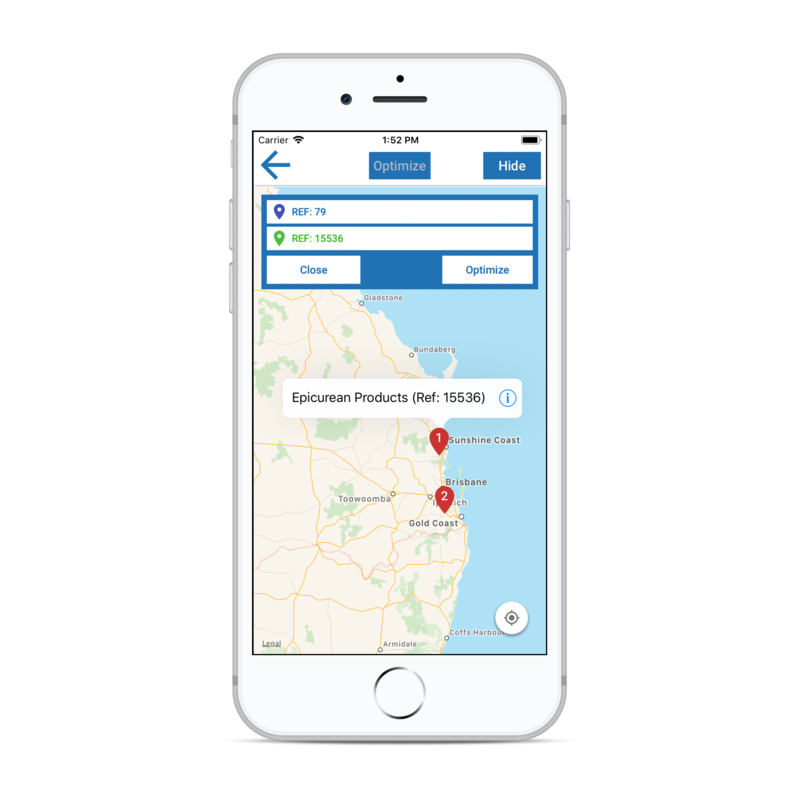 Now CartonCloud has the consignments automatically entered, it can automatically build your delivery runs based on rules you set like suburbs & customers etc, saving you precious time & money. 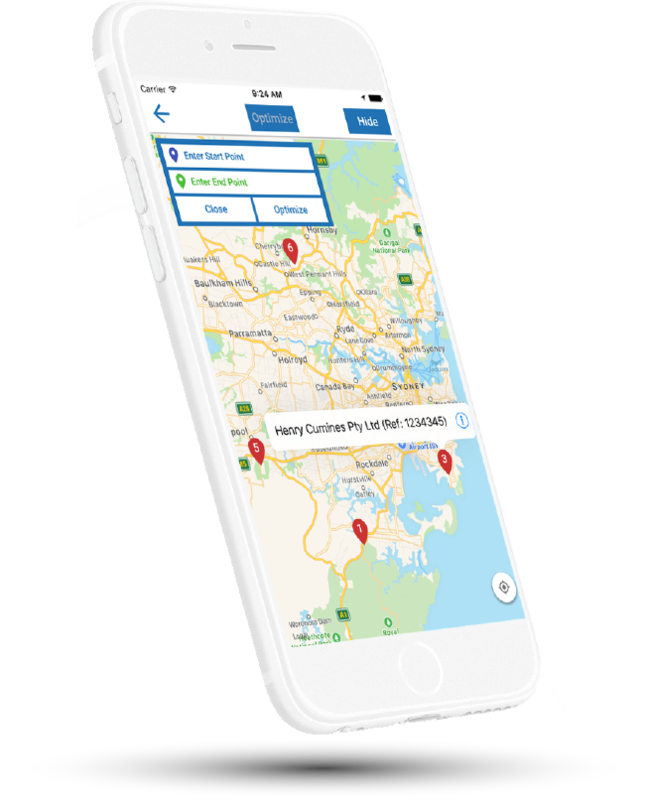 Drivers can navigate to the delivery address & capture ePOD. You've allocated the consignments to the drivers, they can receive a notification. They can pull up the address and it will navigate them to the receiver, then capture images & electronic proof of deliveries plus more. Have your invoicing completed in seconds, all automatically. Your accounts team will love us, you can load in complex logic about how you invoice your clients from drop rate to sliding scale and every invoicing cycle CartonCloud will automatically do all your invoicing. Get back your time and automate processes. You can process complicated logic based on events and triggers loaded then have the rates calculate automatically. Consignments can be created automatically from simple EDI's, complex API's or jobs from the warehouse. Automatically group jobs from a customer going to the same store, feeds-through to invoicing as group. You can have CartonCloud automatically allocate your drivers by scanning the printed labels on boxes with our driver app. Receipt in stock on the fly with an easy-to-use manifest checklist whilst building your runs for delviery. Multiple names for addresses that are the same location, easy update once and the system remembers. "Once I talked to Vincent and his team, the support was here in Australia, they were easy to contact. It was an easy decision for us. We’re in a position now where we’re able to grow." "When CartonCloud came along and all of sudden it’s doing the run sheets for us and it’s so simple, it's just a matter of entering a number and when it's actually giving me a count." "My experience with CartonCloud is it's a very affordable solution for small business owners. The benefit of CartonCloud is it has the TMS that works with the WMS." "Customers simply emails their orders, and it's automatically sent through to CartonCloud, which enables our members to use their iPad's to pick the orders"
With CartonCloud you get free, unlimited online support. Do you have questions about how CartonCloud can help your business? Want to work at CartonCloud? Find out more in our careers section.